The holidays may be over, but winter is still dropping off gifts. 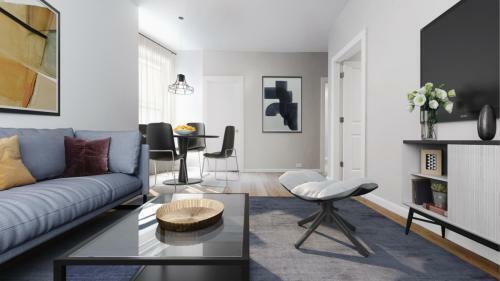 This gorgeous, Fordham Manor 2-bedroom apartment offers affordability and space, all wrapped in a tastefully renovated bow. Best feature: The combination of the price and new renovation are great, but what really sets this apartment apart is its student-friendly appeal. This Fordham Manor 2-bedroom apartment is within walking distance to Fordham’s campus, has a layout ideal for sharing and is listed at a student-friendly price. The apartment’s generous 750 square-feet layout ensure that you and your roommate have enough room to spread out. The bedrooms are also large, each featuring their own closet. 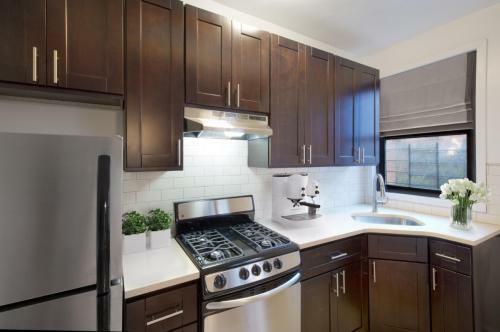 Should your busy schedule allow for time to cook, the new stainless steel appliances in the kitchen will make short work of it. This apartment is also in a great location near shops and transit. Residents have easy access to the Metro North as well as the B, D, and 4 trains. 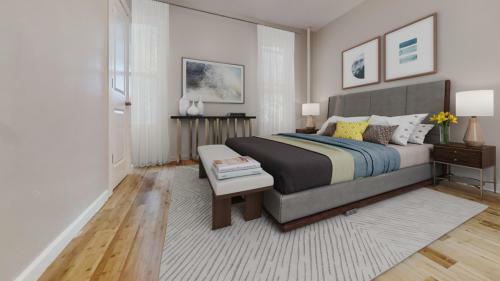 Why it’s a deal: It’s rare to find a 2-bedroom for under $2,000 in New York City, especially one with a new renovation. While the apartment is priced above the Fordham Manor median rent of $1,700, the rent breaks down to a very affordable $887.50 split between two roommates. The owner is offering one month free to motivate potential renters to move in during these chilly winter temperatures. No broker’s fee offers even more savings. All that’s needed to move in is one month’s rent and one month’s security deposit. Biggest drawback: The building is located off of East Fordham Road, a busy commercial stretch, which could translate to a lot of honking horns and street traffic. Hey, why not like Naked Apartments on Facebook and follow @NakedApartments on Twitter? Consider Queens: Should You Move to Ridgewood?